Most customers can’t share photos of their applications to keep their intellectual property hidden. These are a few selected applications that we have permission to share or have been published. 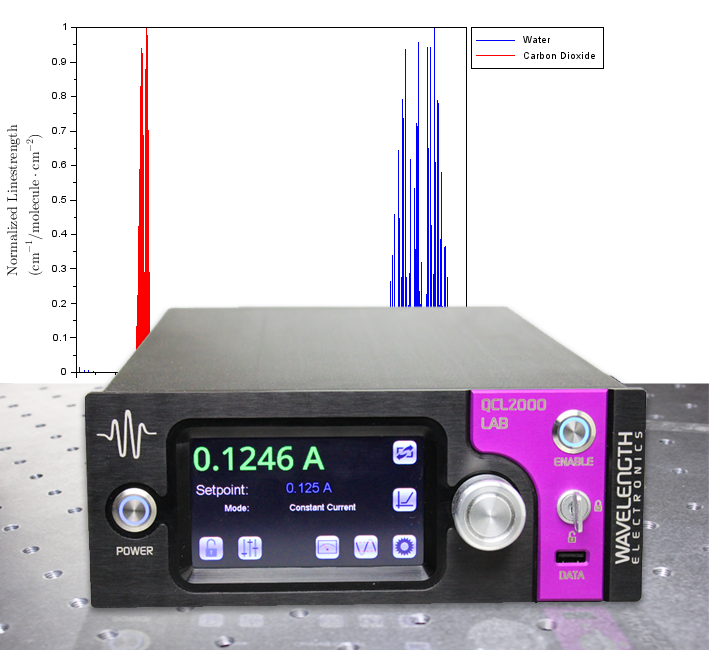 Using Wavelength Electronics’ precision temperature controller and low noise Quantum Cascade Laser (QCL) driver, researchers at Princeton University developed a sensor that was designed around a QCL to simultaneously measure nitrous oxide (N2O) and carbon monoxide (CO). The sensor is compact and field-deployable, requiring much less power and having a much smaller footprint and mass than previous sensors, while increasing the accuracy of concentration measurements. The most accurate measurements were 0.15 parts-per-billion-by-volume (ppbv) for N2O and 0.36 ppbv for CO. These accuracies well exceed the requirement of 1 ppbv to be considered “high stability” in the field of atmospheric sensing. The complete case study is available as CS-LDTC01. 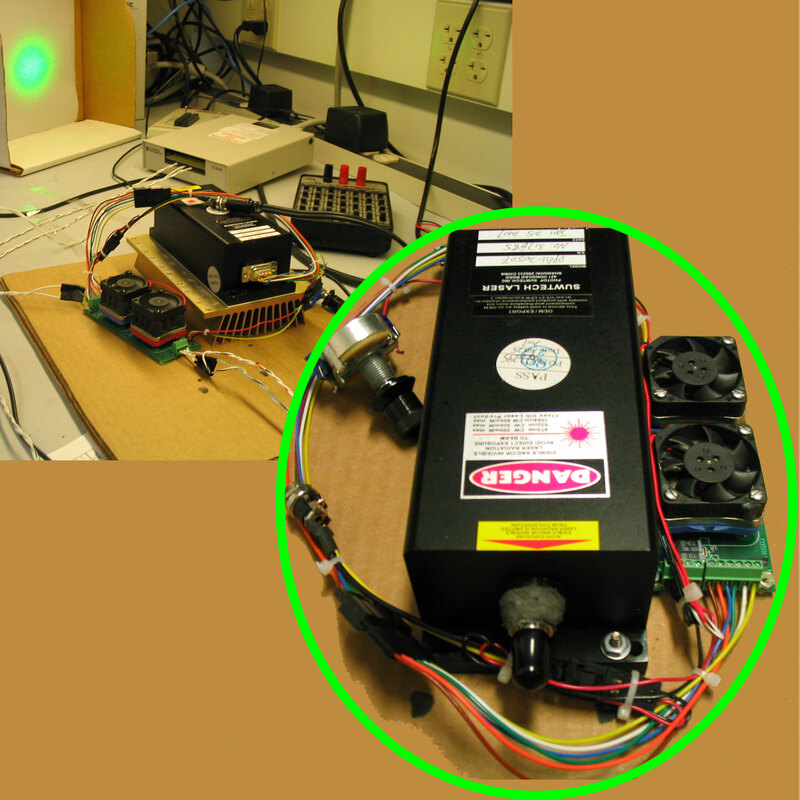 The WLD3343 and the WTC3243 are used for complete laser control of a Raman spectrometer. In order to measure high resolution wave number shifts using Raman spectroscopy, the output of the laser needs to be stable. Providing up to 2.2A of current with 200 ppm stability, the WLD3343 delivers the well-defined current required for this application. 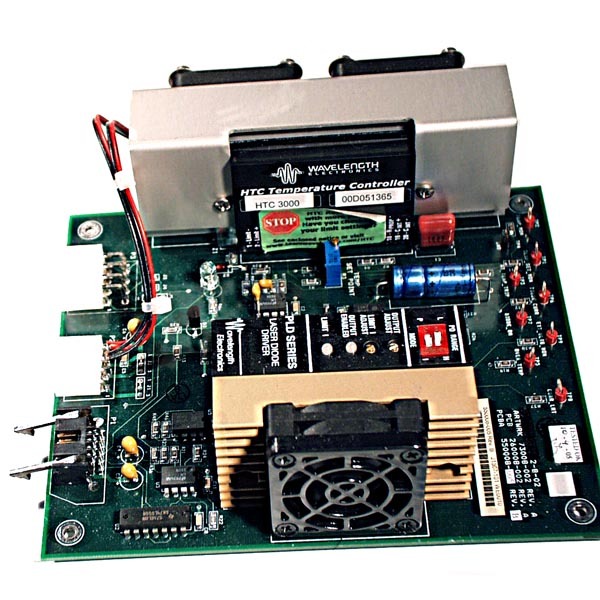 Pairing the current source with the WTC3243 temperature controller (stability of 0.0009°C) ensures that the operating temperature of the laser stays consistent, minimizing the effect that temperature fluctuations have on laser output. 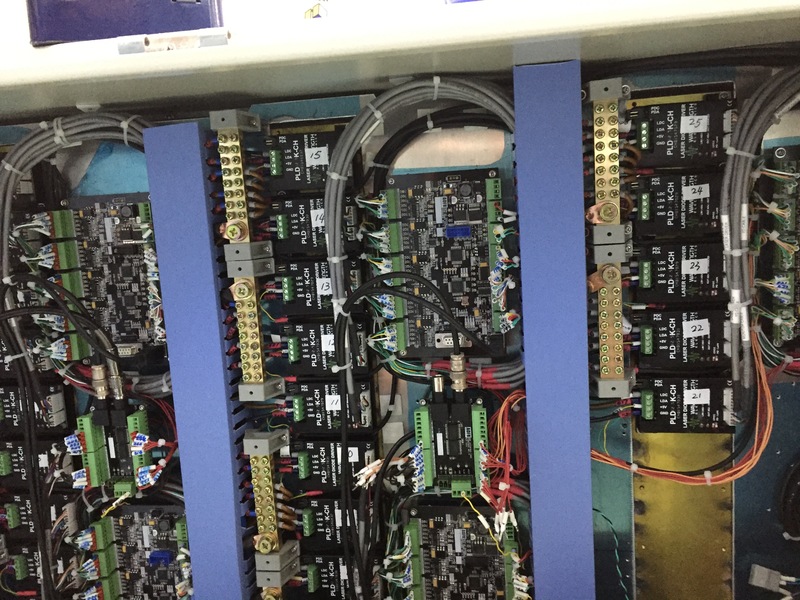 A bank of twenty-five PLD12.5K-CHs is used as a fiber splice test system during telecomm laser manufacturing. Being able to join optical fibers with low loss is important in fiber optic communication. This involves careful cutting of the fibers, precise alignment of the fiber cores, and the fusing of these aligned cores. Fusion splicing is common when a permanent connection is required. In this technique, an electric arc is used to melt the ends of the fibers together. 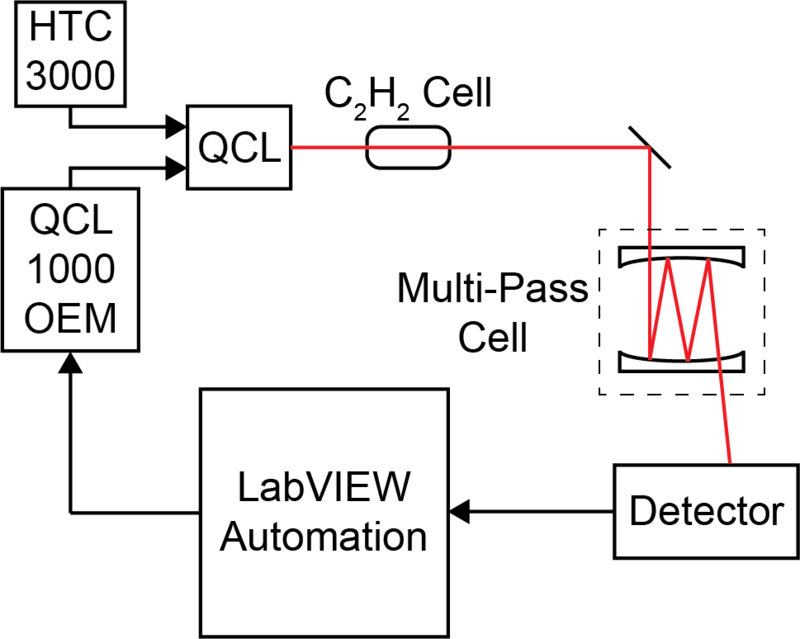 A splice loss estimate is measured by the splicer, by directing light through the cladding on one side and measuring the light leaking from the cladding on the other side. The PLD5K-CH is used to control a surgical laser. The HTC3000 keeps the laser within the appropriate operating temperature. Laser in situ keratomileusis (LASIK) is the most common procedure for corneal refractive surgery to correct myopia. A focused infrared laser using ultrafast pulses of 100-femtosecond duration is used to create the corneal flap. Adjacent pulses are scanned across the cornea in a controlled pattern without causing significant inflammation or damage to the surrounding tissue. 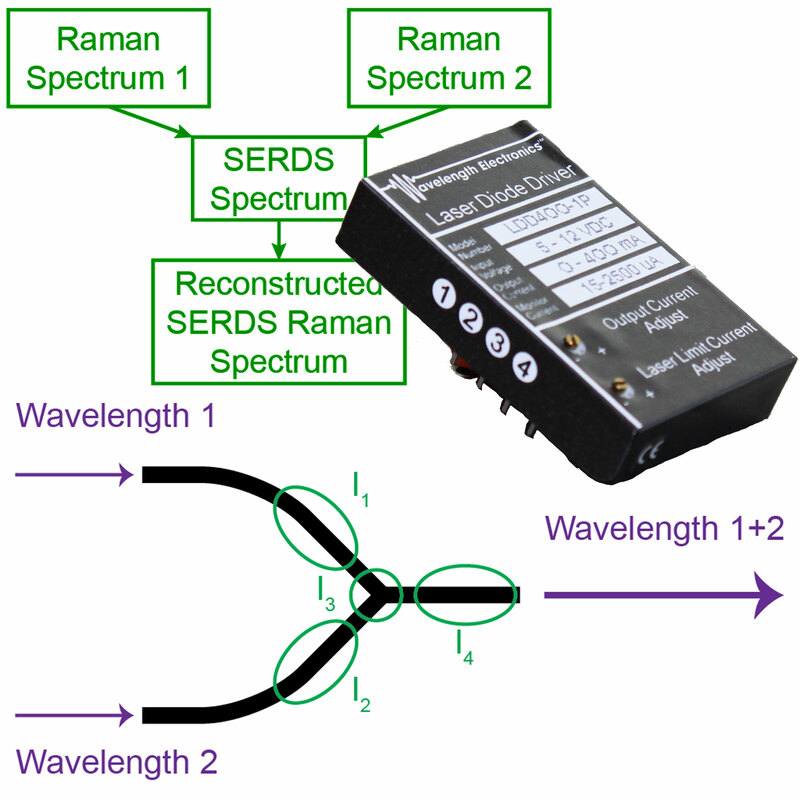 Shifted Excitation Raman Difference Spectroscopy (SERDS) is proven to minimize the effect of background noise, and reduce measurement time. Now it is moving from the lab to the field. Researchers from Leibniz-Institut für Höchstfrequenztechnik in Berlin present a handheld, highly precise SERDS probe that allows in-situ measurements of chlorophyll in apple leaves. Read how the stability of the laser system, driven by four LDD400s and temperature controlled by an HTC1500, satisfied the resolution and size requirements of this application. The complete case study is available as CS-LDTC02. 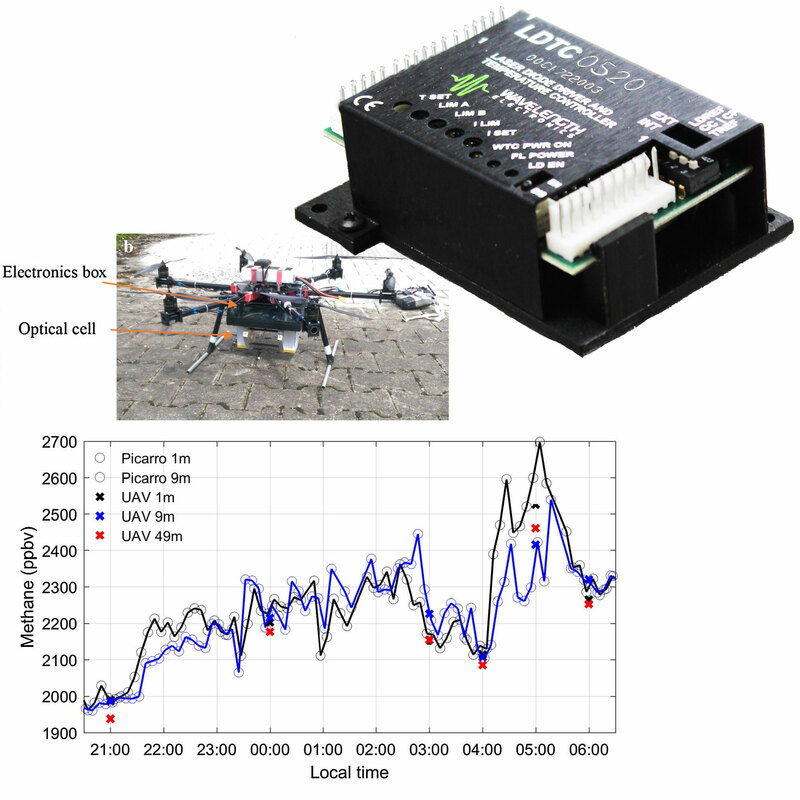 Researchers from the United States (Princeton University, American Aerospace Technologies) and Germany (Karlsruhe Institute of Technology) have developed a mid-infrared gas-sensing instrument that can be autonomously flown to measure methane levels at different locations and altitudes. To drive the GaSb laser, a Wavelength Electronics LDTC0520 was chosen, because it is small and lightweight enough to mount to a drone or hexacopter while providing the necessary precision. The complete case study is available as CS-LDTC03. By using a modified version of polymerase chain reaction (PCR), researchers from China’s Wuhan University were able to show that one-to-one labeling of DNA with quantum dots could be achieved. 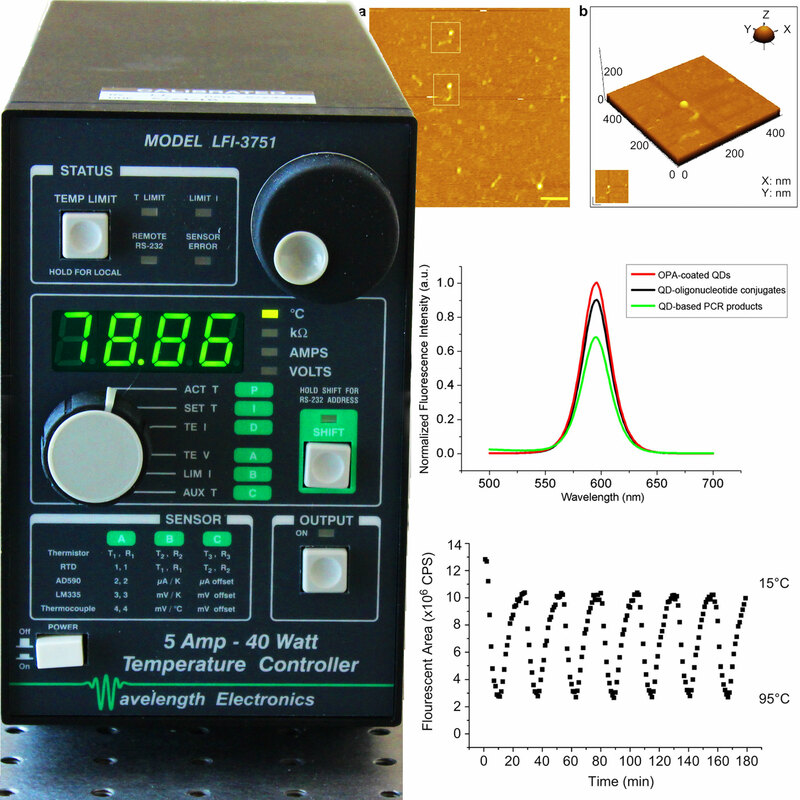 Using a Wavelength Electronics LFI3751 temperature controller, thermal testing was done to ensure the stability of the quantum dots during the drastic temperature fluctuations of PCR. This hyper-sensitive labeling scheme can be applied in biology, medicine, and nanomaterial fabrication. The complete case study is available as CS-TC01. Researchers at the Center for Atmospheric and Environmental Chemistry at Aerodyne Research, Inc. have developed a multitude of direct absorption atmospheric trace gas measurement instruments. Relying on high-quality optics, lasers, and electronics, measurements are reaching parts-per-trillion (10-12) precision, in part due to the integrated low-noise current drivers. This precision allows the developed instruments to be viable resources for making realtime measurements of trace atmospheric gases. 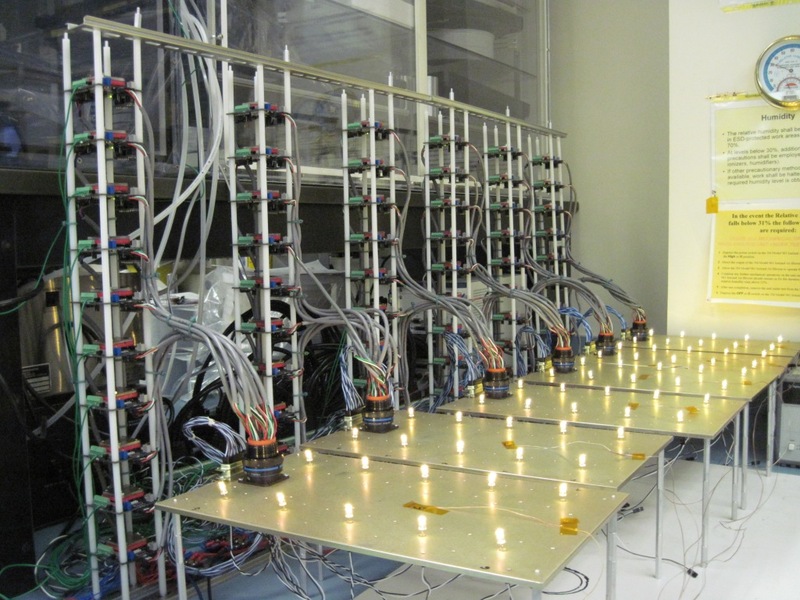 The use of non-cryogenic semiconductor lasers allows the data to be collected outside of the laboratory in ambient environments. The complete case study is available as CS-LD01.